The Yorkshire Biryani attracted me the very first time I saw this book listed in a giveaway and really wanted to try this book because I loved the simple cover, title, theme and wondered how Indian can the world be but sadly wasn’t lucky enough to win the Giveaway. I was actually surprised & very happy when the author Vikram Venkataraghavan contacted me requesting to reviewing his book. The Yorkshire Biryani is a beautifully written work of fiction. 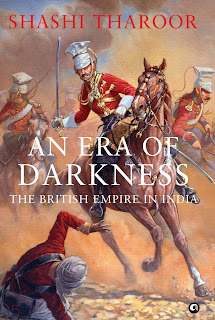 Set in an alternate history, the author successfully paints a clear picture of a unipolar world dominated by Bharat, colonialized most parts of the world influencing them with their religion, culture, and technology. 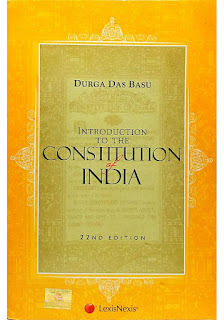 In this world, Bharat is the hegemon leading in Politics, education, technology, culture and in almost all aspects. 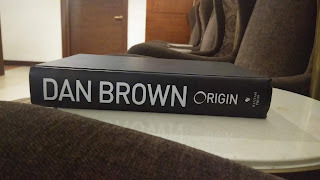 The author does a brilliant job in making the reader believe in the story by chalking out “facts of that world.” Vikram chose the perfect historical juncture to build on this alternate theory convincing how Bharat would have emerged as a hegemon “if” things happened that way. Initially, I had many “what if’s” that made me laugh but The Yorkshire Biryani answers it all making you believe in such a reality. The story revolves around the life of a middle-class family in an imaginary British village named Mayfield suffering from the third world problems like health related, corruption, poverty, etc. The key characters Steve Wilson and Margret Wilson, an aging British couple struggling to meet the daily needs of their family of 5, their first son Greg who wants to become a Kusthi champion, Daphane and Harry their last son also the brightest in the family who aims to pursue his higher studies in Bharat. 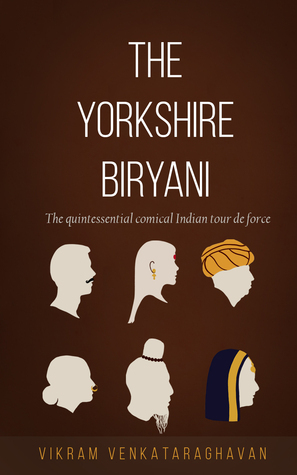 Overall, The Yorkshire Biryani sets in a world never imagined before, written in the simplest language with so many well developed and diverse characters succeeds as an alternate history book but fails to deliver the authors promise as a comical book. Highly recommended.